G. K. Chesterton: This quote from G.K. Chesterton reminds us that teaching is vital to the growth and evolution of society. “Education is simply the soul of a society as it passes from one generation to another.” Chesterton was an English writer, journalist, and literary critic. knowledge onto blank slates. Your goal is to set ablaze the hearts and minds of students. John Dewey: Without knowledge, people are powerless. 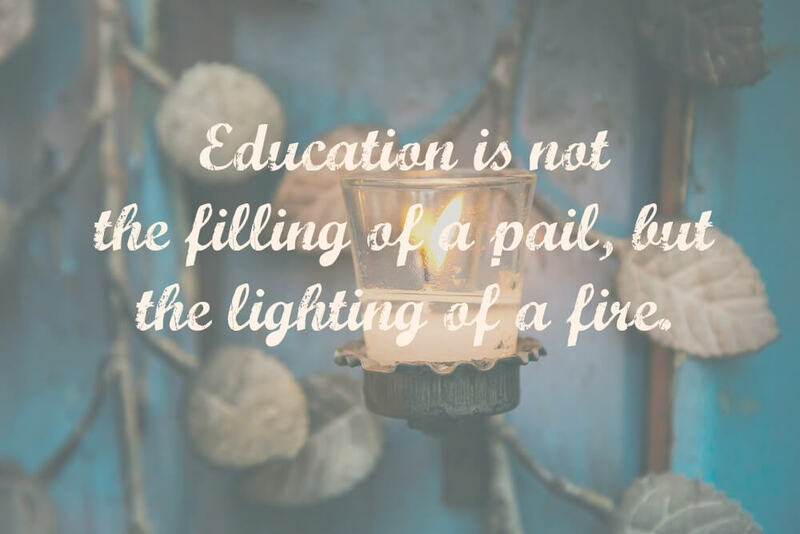 Among inspirational quotes about education, John Dewey’s stands out because it emphasizes the importance of teaching for all ages. “Education is not preparation for life; education is life itself.” An American philosopher, psychologist, and educational reformer, John Dewey’s ideas have been influential in education and social reform around the world. Socrates: Every teacher knows that teaching can sometimes be challenging. The next time you’re having trouble inspiring a student to learn, remember Socrates’ famous inspirational quote, “I cannot teach anybody anything, I can only make them think.” Encouraging students to think critically about assignments can help them retain knowledge and get excited about a subject. A passionate teacher has the potential to transfer their passion to his or her students. But even the most passionate teacher needs inspiration – and inspirational quotes – from time to time. If you are having trouble exciting your students about a subject or assignment, remember the words of great teachers who came before you. Keep in mind that teaching is the one profession that creates all other professions from musicians and artists to scientists and doctors.